TangoDown™ Inc. is excited to introduce the new addition to the Vickers Tactical™ product lineup! Join us in welcoming the Vickers Tactical™ Carry Trigger (VTCT). There are two (2) different models which accommodate the large variety of Glock™ models on the market (see below). The VTCT is a flat faced polymer trigger. The flat faced trigger has become quite popular among shooters and offers the perception of a lighter trigger press. When developing the VTCT, the mechanical take-up was not modified. However, over-travel was shortened to offer a quicker reset, which allows for a quicker follow up shot. The VTCT is made from the same material as the OEM trigger, so there isn’t the risk of wear/damage to the frame. The trigger is an insulator, not a heat conductor and will not get hot while spending the day on the range. 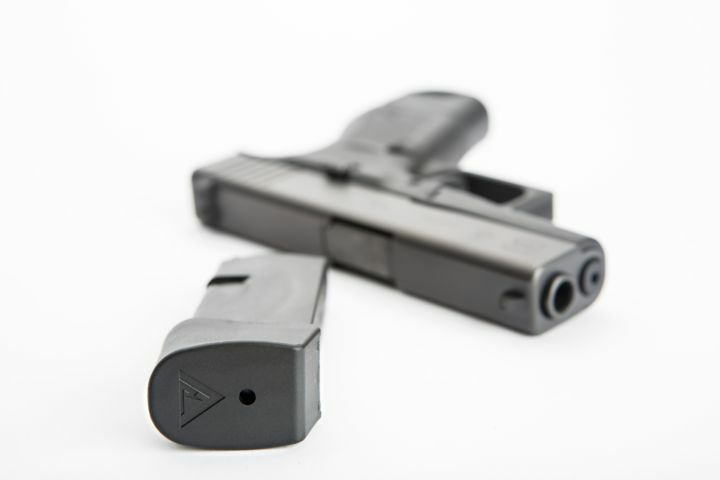 The VTCT is easily installed in minutes by a Certified Glock™ Armorer. 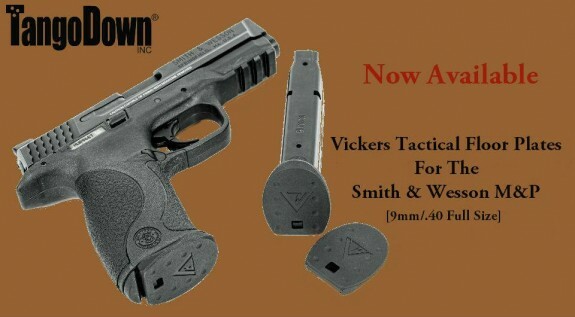 For further details, visit www.TangoDown.com to learn even more about the Vickers Tactical™ Carry Trigger. 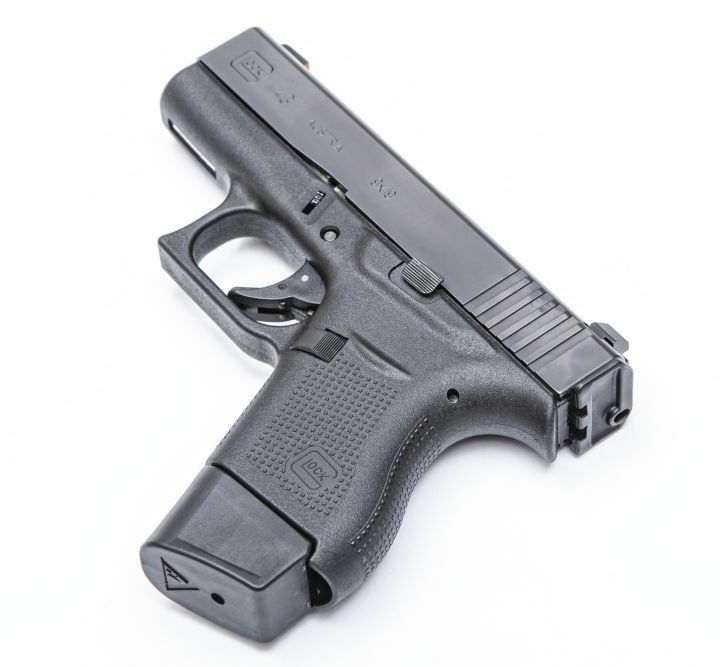 The VTCT-001 fits all Gen3/Gen4 Glock™ models 9mm (including the G43), .40, .45ACP, 10mm. Also accommodates the G42 .380 model. The VTCT-002 fits all Gen5 Glock™ models currently on the market. TangoDown™ is pleased to announce the release of the Vickers Tactical™ +2 Extension for the Glock™ .380 ACP G42 (VTMFP-007/42). Though overshadowed by the later 9mm G43, the G42 is still popular in the smallest concealed package. The extension offers the security of (2) additional rounds, as well as extending the grip slightly to allow for an improved firing grip. When carrying a compact: 8+1 is always better! The VTMFP-007/42 fits the G42 only. Visit https://tangodown.com/shop/vickers-tactical-2-magazine-extension-for-the-glock-42-vtmfp-007-43/ for more information. 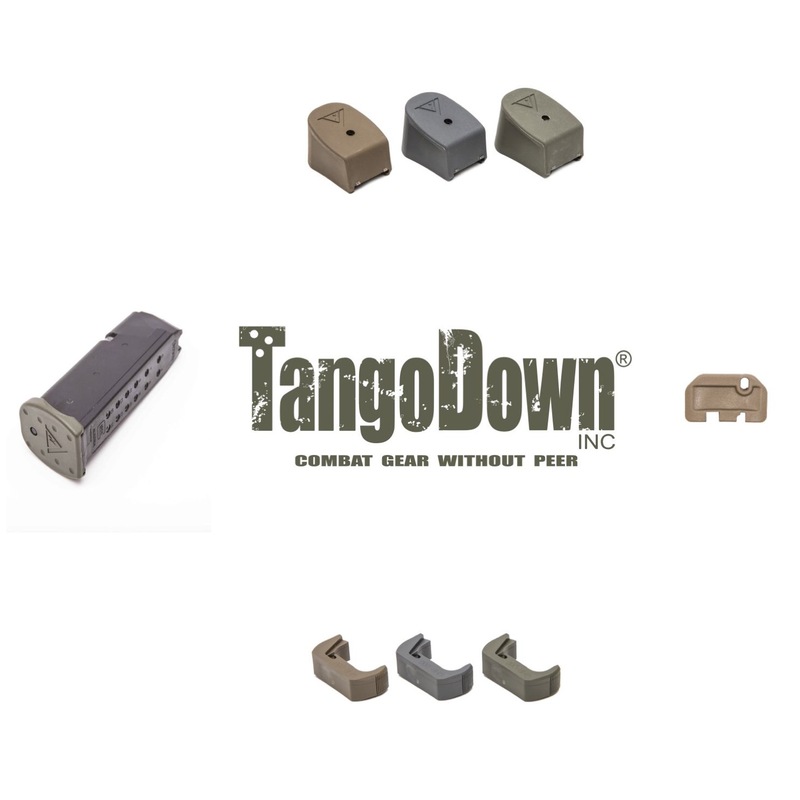 TangoDown is now offering their line of Vickers Tactical Glock accessories in new color options. Many of the colors are already available. Please visit www.TangoDown.com to find out more information on each product & colors available. 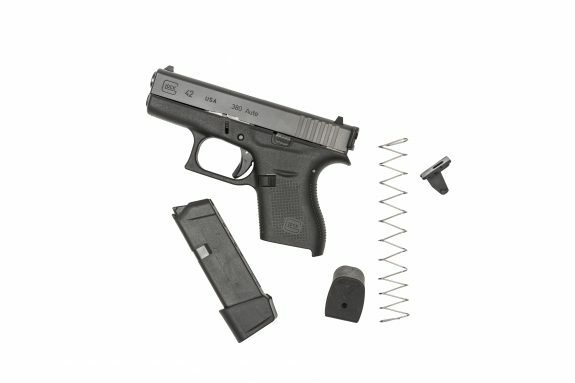 All information can be found under the ‘Items for Glock™’ tab. You can also look forward to OD Green accessories in the near future. TangoDown is pleased to announce the release of the Gen 4 Glock™ Grip Plug / Take Down Tool (GGT-02). 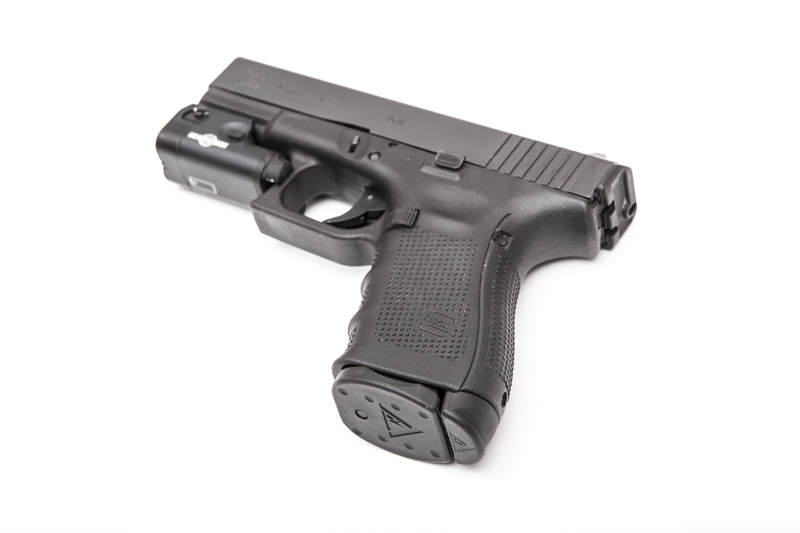 The GGT-02 offers all the same functions as its predecessor for the Glock™ Gen 3 models. Carefully designed to accommodate factory back-straps, or not, depending on shooter preference. Just select the appropriate tool & go. The package includes (2) tools & (1) plug. 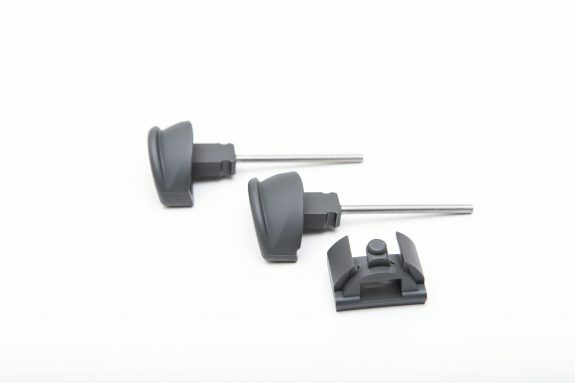 Installation is quick & simple, snap fit for easy tool access. 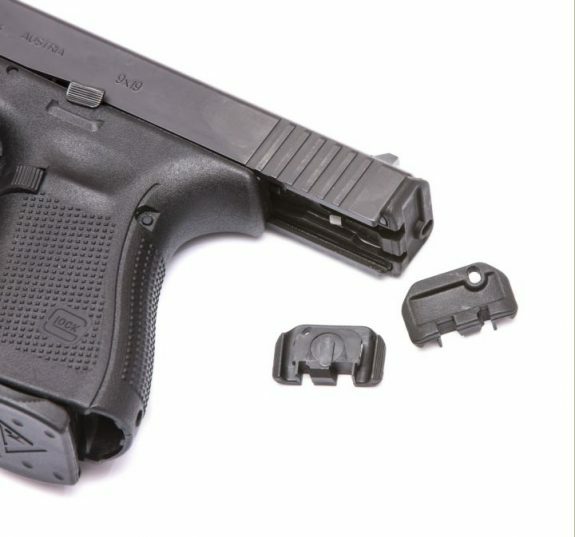 Visit: https://tangodown.com/shop/vickers-tactical-grip-plugtakedown-tool-for-gen4-glock-ggt-02/ for more information on the GGT-02. The GSR-02 Glock 43 Slide Racker is the newest addition to the Vickers Tactical line at TangoDown. 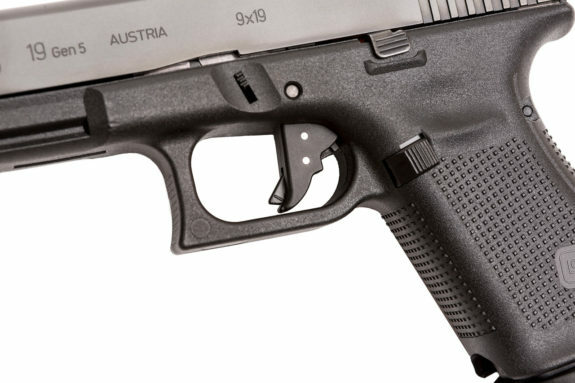 This drop in part provides just enough of a ledge to make it easier to rack the slide of your Glock 43. TangoDown is pleased to announce the latest addition to the Vickers Tactical lineup! Announcing the GSR-02 Slide Racker for the popular single stack 9mm Glock ™ 43. Just like its predecessors, the GSR-02 has small serrated wings at the slide’s end. This feature allows for positive cycling against your belt, holster, or heel quickly when you’re restricted to a single hand. The GSR-02 is also an outstanding upgrade for those who struggle with arthritis, have smaller hands, or reduced hand strength. The GSR-02 is large enough to provide advantage, but still small enough to be unnoticed in concealed carry holsters. Visit www.TangoDown.com for more information on the GSR-02. TandoDown’s newest product will help you get a grip on your Glock. Their GSR-03 Vickers Tactical Slide Racker is designed to aid in the manipulation of the slide without being obtrusive. It serves to increase grip during normal manipulations. In the event that you lose use of one hand, it can also be used as catch for manipulating the slide a table top, your belt, your holster, the bottom of your shoe, or whatever else is handy. TangoDown has developed a Slide Racker to accommodate larger frame 9mm & .40 double stack Glock™ models. The GSR-03 provides small serrated wings at the slide’s end, to guarantee a positive cycling of ammunition into the weapon. Even if you’re down to one hand, cycling the slide against your belt, holster or heel is quick and positive. Those with small hands or struggling with arthritis, will benefit from this upgrade. The GSR-03 is big enough to offer advantage, yet small enough to be unnoticeable in concealed carry holsters. Visit TangoDown.com for more information on the GSR-03. Be sure to drop by booth #2633 to visit Blue Force Gear at the NRA Annual Meetings. They will have tons of gear on hand including the venerable Vickers Combat Applications Sling. Industry celebrity Larry Vickers will be in the booth every day from 11 am to 12 pm. Come by during these times for trivia, autographs and to meet the star of Vickers Tactical. 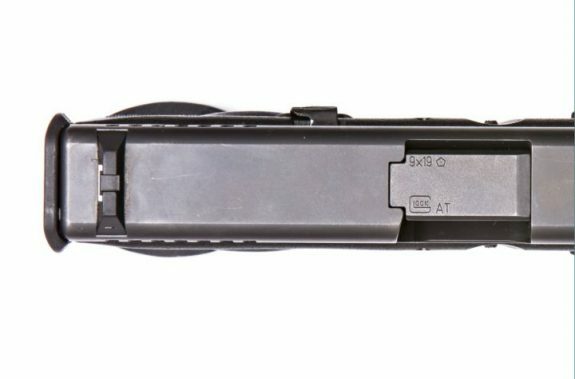 Vickers Tactical and TangoDown have released the latest in their ever-growing line of Glock parts – the +2 Magazine Extension for the Glock 43. The extension includes a longer stainless steel spring to ensure reliable feeding and lock-backs. Check it out at TangoDown. I have been using the Vickers Tactical Magazine Floor Plates for Glocks for more than a year now and I like them quite a bit. M&P shooters will be happy to know that they are now available for their pet pistol. Like the Glock versions, these are slightly oversize and have textured scallops to enhance grip in the event that you need to strip the magazine from the gun. 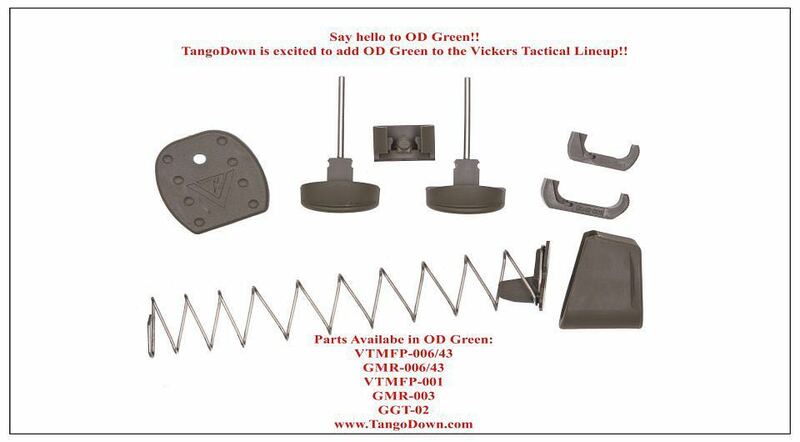 Check out the Vickers Tactical Magazine Floor Plates for the M&P at TangoDown.